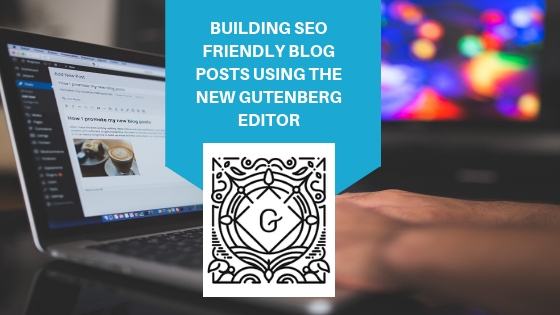 Recently one of my clients asked me to train them on how to build SEO friendly blog posts using the new Gutenberg editor. The very first thing you will need to do is log into your wordPress website Dashboard. Go to https://yoursitename.com/wp-admin. Next you will need to enter your username and password. If you have never logged in before you will need to contact your web designer and ask them to send you this information. 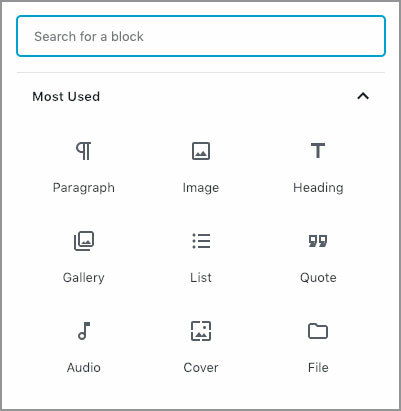 Gutenberg uses a block system. Every block comes with its own edit menu. To activate the edit menu just click on the block and it will take over the right sidebar. There are two ways you can access the blocks. Either select the Plus in the circle at the top left side of your post page or roll over an exisitng block and select the plus sign that will appear at the top of that block. The first thing to add is the title. Make sure the title has your key phrase (more about setting this up further down in this post). Next, add your content. I write my content in Microsoft Word first, and then copy it over to my wordPress blog. But you can write in the wordPress editor and skip that step. Add subtitles to break up your blog post into more digestible pieces. You can do this by selecting the “Heading” block. It is easy to change the font-size and color as well as the background of your title in Gutenberg. You can add the bullets, quotes and maybe even a button or two that links to another website or a page on your website. In the past you might have needed your wordPress designer to set these different styles up. With Gutenberg it’s a click away. HINT: Make sure you use the “ focus keyphrase” throughout your blog post. This will be explained in detail in this blog post. You can also add images to your post. This helps with SEO since you can add alt-tags. Gutenberg will remind you to add the alt-tags when you click on your image. Select“upload” and search for your image on your computer. Once your image is properly placed, you can resize it, add your alt-tag phrase to describe to visually impaired. Once you are finished writing your blog post you might want to add a feature image. This is the image that will appear at the top of your post as well as the image on the Blog grid page. You can create your customized image with text using a program like Canva, which you can read about in this blog post. I recommend keeping all your feature images the same size, so they are consistent. A good size that I like to use is 1200 X 800 pixels so your image displays on retina screens without them looking blurry. To upload a feature image click off any blocks, and go to the left sidebar. Select “feature image” and then upload the same way you did your other images. The first thing you should do is think of grouping your blog posts under a specific topic. On the right sidebar select “Categories” and either choose or create one that relates to your blog post. Next, you want to add tags to your blog post. These are words or key phrases that are used in the content. I usually add between 3-6 tags for each blog post. When someone is searching these terms on the internet, your blog post has more chances of showing up in their results. On the left sidebar select “excert” and try to summarize your in one easy to read paragraph. The excert appears in the blog grid page under your image and on any emails that you send out. At the bottom of your post you will have an area that allows you to change the snippit. This is the text in google that appears as a description of your page. You will need to have the Yoast SEO plugin installed to see this. I usually write approximately 25 words and include my “key phrase” as well as a call to action. The keyphrase is the most searched for phrase and should be the overall subject of your blog post. The keyphrase, to be most effective, should appear in the title, subtitle and content of your post. By adding one or two links in the content you are increasing your blogs relevance. You can either link to an internal page on your own website or an external page another site. HINT: At the end of my blog posts I often add a call to action, with link to my Contact page. Before going live, save a draft. To do this select “save draft” on the top right corner of your blog post. As you are writing and previewing your post, don’t forget this step or you may lose your content. Now that your blog post is ready to be sent to your subscribers, you will need to schedule it. In the Dashboard go to Posts/Calendar and select “Show Unscheduled Drafts”. Drag your newly created post onto the calendar to the date you wish to send it. You can edit the post on the calendar by selecting “edit” and change the time. A good time to send posts is outlined in this blog post. If you need assistance setting up your blog or website please contact us to set up a discovery session. 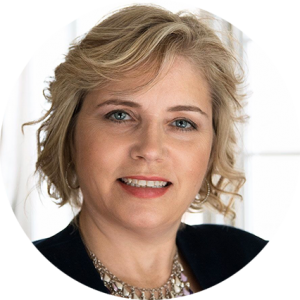 Anne de Groot is a WordPress Consultant and Graphic Designer.